Sheltered from noise and traffic yet close to everything, Whiting Station in Manchester, New Jersey is an age-restricted community reserved for residents age 55 and better. Started in 1988, this charming community consists of 332 single-family homes designed to provide stress-free, low-maintenance living. With resort-style amenities and the availability of a large variety of activities, residents can live life to the fullest at any activity level they desire. Whiting Station is conveniently located halfway between Philadelphia and New York City. Despite its rural setting, this active adult community is close to stores, restaurants, entertainment, and medical services. This Ocean County community is ideal for today's active adult homebuyers. Residents of Whiting Station have everything at the clubhouse to fulfill their social and fitness needs. The fitness center has up-to-date equipment for strength and aerobic training. The multi-purpose room is the perfect place to meet with friends for a game of cards or attend a club meeting. The clubhouse also boasts billiards, banquet, and multi-purpose rooms, well-equipped to keep residents socializing all year long. Outdoors, residents of Whiting Station can enjoy the beautiful resort-style swimming pool. Umbrella tables and chaise lounges make this a beautiful outdoor spot. Combine health and fun by engaging in friendly games on the shuffleboard and tennis courts. A community bus helps residents get to local destinations. Whiting Station is an established community that was built between 1988 and 1995. This wooded community is comprised of 332 single-family homes that offer ten different models that range in size from 1,000 to 1,800 square feet. Most homes feature two bedrooms, two bathrooms and an attached garage. Most homes have open floor plans perfect for entertaining, first-floor master suites and a deck. The community collects a reasonable association fee that includes maintenance of common grounds, snow removal, lawn care, sprinkler systems, bus service and unlimited use of the community clubhouse. Residents of Whiting Station enjoy a prime retirement location in Ocean County. With a private bus that plans fun outings to the theater or summer festivals there is always an exciting schedule of events to attend. Throughout the community, residents aged 55 and better enjoy plenty of activities, games, and clubs that are geared towards their hobbies and interests. They can choose to join the exercise or yoga group that meets in the fitness center or meet neighbors for a card games in the clubhouse. With planned trips, dinners, dances or game nights there is always something exciting happening at Whiting Station. Whiting Station is located in Manchester, New Jersey just ten miles from the Garden State Parkway Exit 80. This charming community is located minutes from the Jersey Shore and is between New York City, Philadelphia, and Atlantic City. Mature shrubs and trees surround the community giving residents the best of both worlds. This Ocean County community is conveniently located a few miles from local shops, restaurants and recreational facilities. There are a handful of farmers markets, live concerts, and art and entertainment events for residents to enjoy year round. With easy access to the beach, local events, shops, and restaurants it is easy to see why active adults love living at Whiting Station in Manchester, New Jersey. There are plenty of activities available in Whiting Station. Here is a sample of some of the clubs, activities and classes offered here. Whiting Station was built between 1988 and 1995 and is comprised of 332 single-family homes that offer ten different models. These homes have 1,000 to 1,800 square feet and feature two bedrooms, two bathrooms and an attached garage. Most homes have open floor plans perfect for entertaining, first-floor master suites and a deck. The community collects a reasonable association fee that includes maintenance of common grounds, snow removal, lawn care, sprinkler systems, bus service and unlimited use of the community clubhouse. Note: Not all floor plans are available at this time. As the new 2018 Resident Club President, my fellow Officers and I are committed to bringing sunshine and compassion to all our community members. Our aim is to make you happy to live here. Our monthly meetings are entertaining and educational, with homemade desserts, decaf and regular coffee. Special monthly events provide more fellowship opportunities, dancing, and great food. 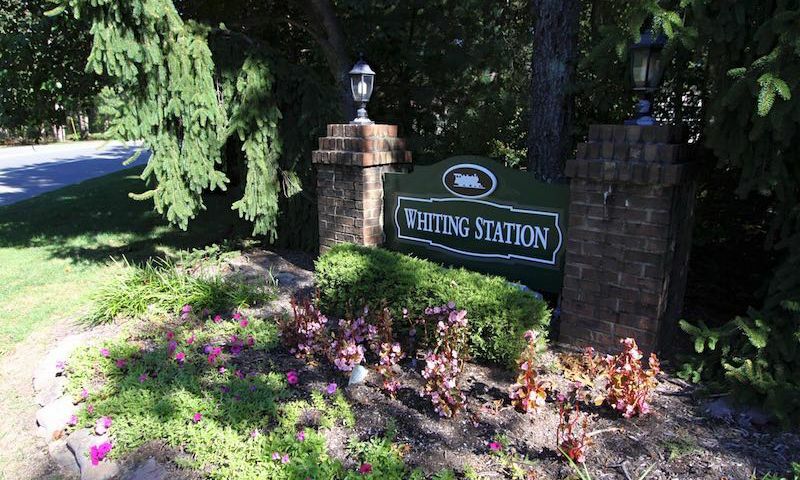 We invite you to consider Whiting Station. At first sight this is a lovely community, however when you dig deeper you see a difference. The trees are pretty but so shady it's hard to grow grass. You cannot cut them down as the Board of Trustees denies your request. The HOA is run by the same 10 people that refuse to keep up with the times. You can't park your second car in the street, you must park it either in the garage or at the clubhouse. Your car must have a sticker on it to do so. This village was built when most people had only one car but today that's not necessarily true. They spend most of the HOA fees on the clubhouse improvements but have over a million dollars in the bank. They do nothing to help the elderly or infirm of the neighborhood, they just pass more rules. They are demanding everyone remove the underground oil tanks but provide no financial assistance. The social life of this community is very sparse and limited to a handful of people. Unless you are part of the governing body your request for improvements to your property is usually denied. People constantly complain about their neighbors. You are required to attend a meeting AFTER you buy the house so they can explain all of the rules to you and the list is quite extensive. When I was considering buying here I asked for a copy of the rules and regulations but was told I could read them but could not have a copy. I bought my house about 8 years ago and hope the attitude would change as new people got involved in the HOA but it has not. This is a very restrictive community with very little to offer. We looked at many developments, throughout the Toms River area, we went west to, Manchester and found a great value,low taxes,and highly desirable environment with plenty of trees, also gas heat, which not too many developments had, in the under 150k,price range.Very nice people, quiet 10 miles from the bays in Lacey, and Bayville,check it out you won't be sorry. This is a very lovely community and very "underrated" in my opinion. Although the homes are older -they are very well-built and easy to update if desired. Homeowners here take pride in their homes and the community is well cared for. The pool and tennis courts are extremely lovely. Residents are friendly and very neighborly. HOA fees are affordable. I like being away from the congestion of Toms River and Brick and closer to Lacey Township and Forked River for shopping. 55places.com is not affiliated with the developer(s) or homeowners association of Whiting Station. The information you submit is distributed to a 55places.com Partner Agent, who is a licensed real estate agent. The information regarding Whiting Station has not been verified or approved by the developer or homeowners association. Please verify all information prior to purchasing. 55places.com is not responsible for any errors regarding the information displayed on this website.